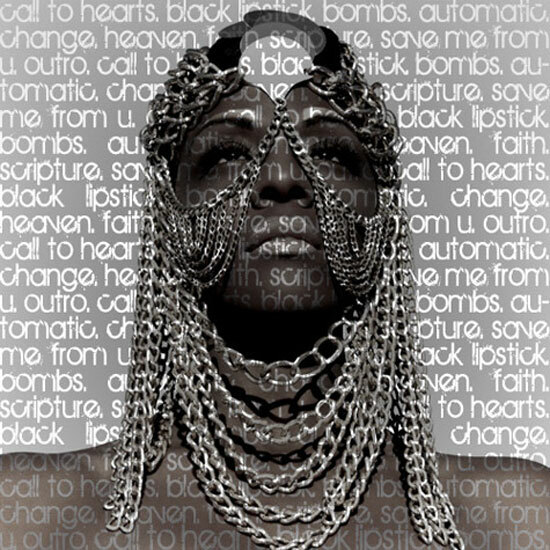 Diva Devotee: [Review] Dawn Richard: "Wild n Faith"
[Review] Dawn Richard: "Wild n Faith"
Former Danity Kane member Dawn Richard keeps delivering during her stint as an independent artist, and new song Wild N Faith- which is actually a combination of tracks Faith and Wild N' Young- is no exception. Taken from her critically acclaimed EP Armour up, the song is a meandering journey through genres; combing tribal beats, dance music, and good ol' RnB to create a monster track that shows others out there that it is possible to incorporate mainstream elements into your music without compromising your individuality or creativity. But our Dawnie wasn't content with just putting out a great song- no! Teaming up with director ELY, she's also put out one of the best videos of the year (so far). Beautiful costumes, brilliant choreography and some simple but stunning cinematography; and imagine, all on an independent artist's budget. Keep up your hustle, Dawn! I thought that was a whole lot more interesting than Harris. Showing personality and individuality indeed but I don't get the different culture references. Indian, Japanese, imaginary tribe(?). I saw no connection to either the lyrics or the music. Unless that all very very loosely is referring to the fact that some of the beats sounded like actual drums? I agree the choreography and general visual of the video is nice but all in all I thought Spectrum was a way better video by far. On a whole, I found this enjoyable. A one or two times listen only for me but yeah, quite enjoyable. A B rating sounds about right to me as well. Wow, was not expecting you to like that- but I should have come to expect the unexpected from you by now. As for the mash up of styles, I think the initial warriors were (loosely) based on the defiant lyrics- "they say we couldn't fight on," "they can't stop us now" ect. As for the second half, I think it was maintained for some semblance of continuity between the two songs. LOL You are still fooled by the bold nature of my statements, I think, into expecting a very closed mind. It's only a tad, is all. Sometimes these visualisations are more easily understood if one knows the person's other work and/or world of references. I don't know her so I could very easilyhave missed the deeper meanings. I didn't really get the smoke rings reference either I think. Not fully anyway for sure. I had only vaguely heard of Danity Kane and certainly not heard any of their work, never mind the members involved. I do like this, her vocal is interesting, it actually took me by surprise right at the off, I thought her range and power were going to be 'limited' shall we say, darned cynical me! I think she deserves a great amount of kudos for the meshing of all these styles, successfully making them cohesive and keeping the vocal in line with it all. Responsible for yet another artist being brought into my life earns you more respect DD, even although with all the new music at the moment making me feel like my brain is going to implode at any given second lol great work! OMG stuey, Danity kane are AMAZING!! Seriously!! The video was amazing. But speaking of Dawn, how come you haven't did a vocal range of Ms. Richard, Diva? Are you waiting for GoldenHeart to release or something? Why thank you, I did a bit of researching too! Interesting songwriter she is. Didn't realise it was her from Dirty - Diddy Money too!